My wrist strap broke on my right Touch Controller while playing Echo Arena. I contacted support since it is still under warranty, but they refused to do anything about it. 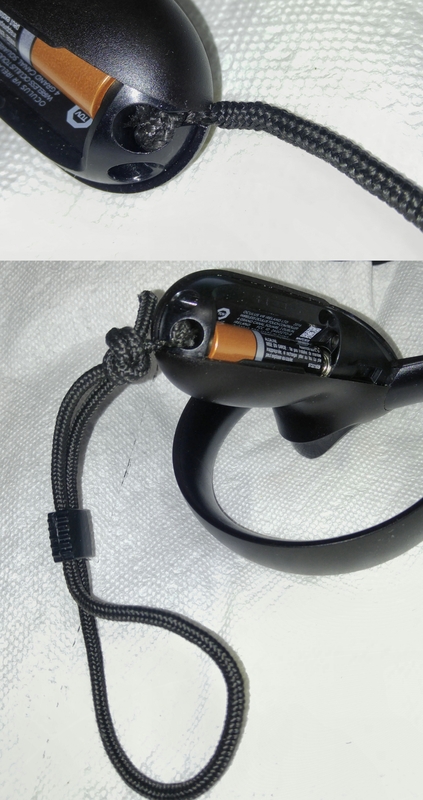 It seems to me that the wriststraps are an essential safety feature that should be covered by the warranty, or at least offered for sale. 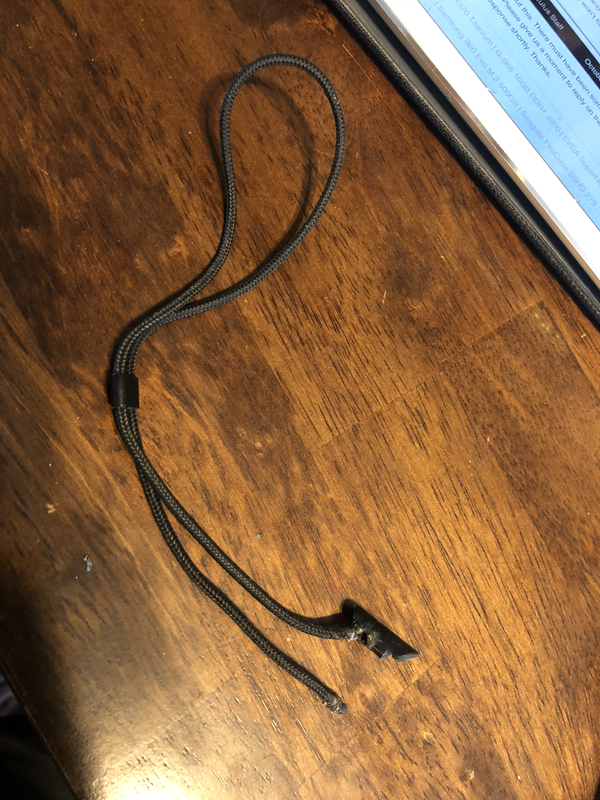 Any ideas how I might get a replacement? You can make a new one yourself if you're crafty. I used an eyeglass retainer made from braided string like a heavy shoe lace. It had the slider thing on it to adjust the size. Tie a simple knot on one end and cram it into the hole in the handle, then join the loose ends together with a knot. The line that goes into the hole has to be pushed in far enough to clear the cover. That looks like a solid fix to me thanks for shareing. Not at all. I was playing echo arena. I threw the disc with sweaty hands and it slicked loose. The strap broke and it went flying across the floor. The thing is that the wrist straps, as far as I can tell, are simply glued to the rubber stopper. The wrist strap shouldn't break under normal use. It is kind of ridiculous that they won't provide replacements though (even if I have to purchase). I did temporarily fix it by tying a know in then ends of both parts of the strap and stuffing that into the hole, but wrist straps are an essential safety feature, and they shouldn't break when playing a game. What if my controller fails? They could just say they won't fix it due to not using an approved wrist strap. That is my main concern. I'm speaking with the team now about this. There must have been some confusion on the ticket but I think we should be able to assist. Please give us a moment to reply on the ticket or feel free to send me a PM if you don't receive a response shortly. Thanks. I have the same problem. 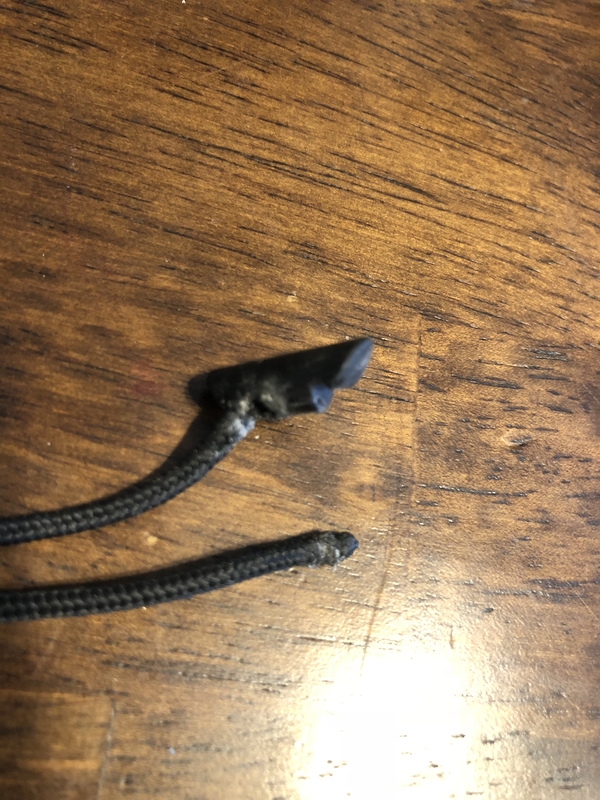 I was playing Echo Arena, the controller slipped from my hand and one end of the strap came out. I spent about an hour trying to force it back into the hole in the little rubber stopper and got it in enough to put a dab of superglue on it, but it came back out the next day.